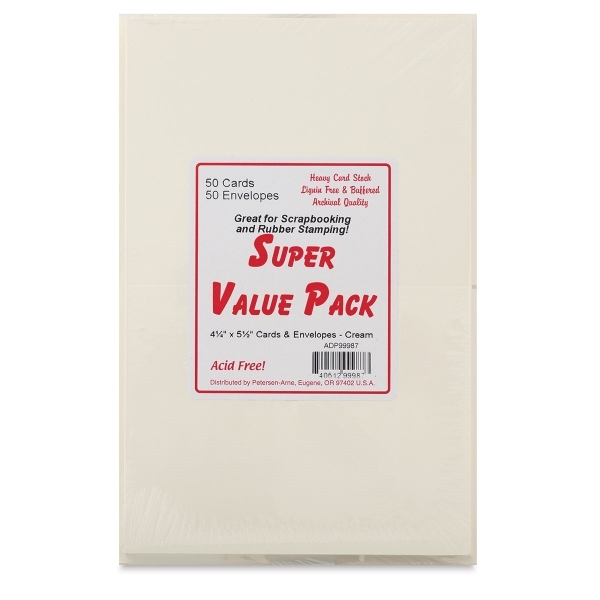 Archival-quality cards in affordable packs! 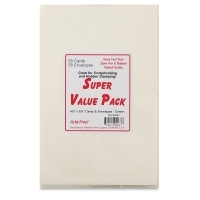 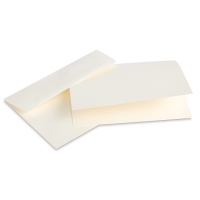 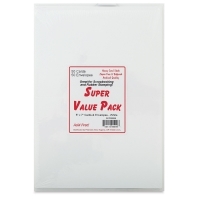 Paper Accents Super Value Cards and Envelopes are the perfect choice for all writing, letterpress printing, and engraving applications. 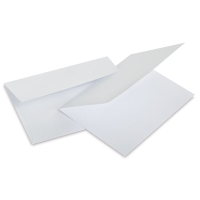 The acid-free, lignin-free, buffered cards made from heavyweight cardstock can be used with pens, markers, paints, stamps, and stickers. 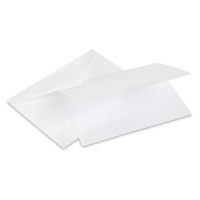 Packs include 50 cards and 50 envelopes. 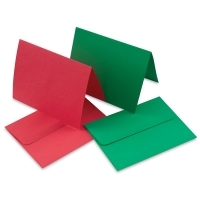 Red and Green Card and Envelopes — Catch the holiday spirit by making your own cards with this budget-friendly pack. 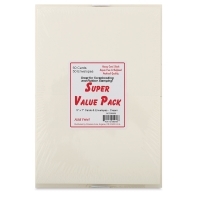 This economical pack includes 25 each of red cards and green cards, with matching envelopes — 50 cards and envelopes in all. 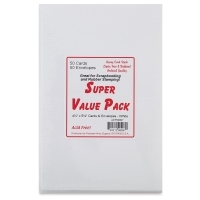 The cards measure 4-1/4" × 5-1/2".